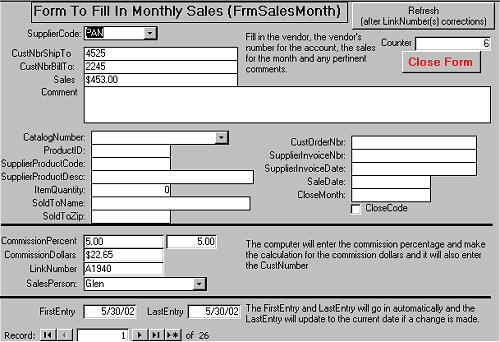 This module allows you to bring in a supplier report electronically and connect the sales and commissions to accounts in the database. Each account has a sales person identified so the sales and commissions can be automatically assigned to the sales person. Once this is done you can review each commission assignment and more.